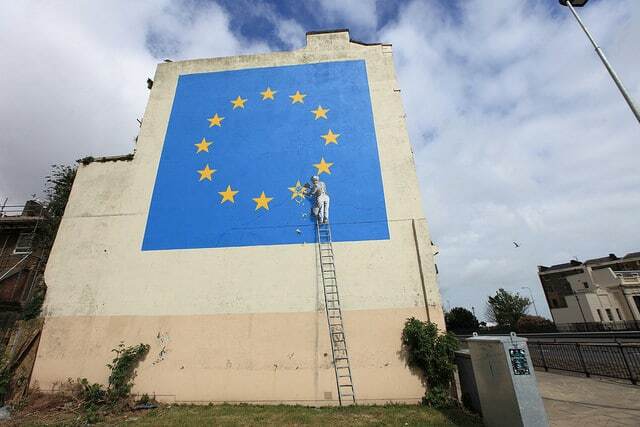 Banksy's has unveiled his latest mural in our local town of Dover. 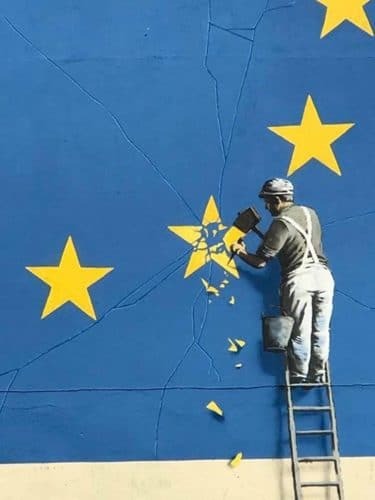 This piece, inspired by Brexit, displays a worker chiseling away at a star from the EU flag. Jeremy and Jordan Godden, who inherited the property business from their late father, Jimmy, immediately announced plans to sell the work for £1 million.